Located 785 kilometers north of Bangkok, Chiang Rai is the capital of Thailand’s northernmost province. At an average elevation of nearly 600 meters above sea level and covering an area of approximately 11,700 square kilometers, the province borders Myanmar to the north, and Lao PDR to the north and northeast. The area is largely mountainous, with peaks rising to 1,500 meters above sea level, and flowing between the hill ranges are several rivers, the most important being the Kok, near which the city of Chiang Rai is situated. 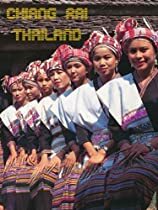 In the far north of the province is the area known as the Golden Triangle, where the Mekong and Ruak Rivers meet to form the borders of Thailand, Myanmar and Lao PDR Inhabiting the highlands are hilltribes like the Akha, Lahu, Karen, and Hmong.